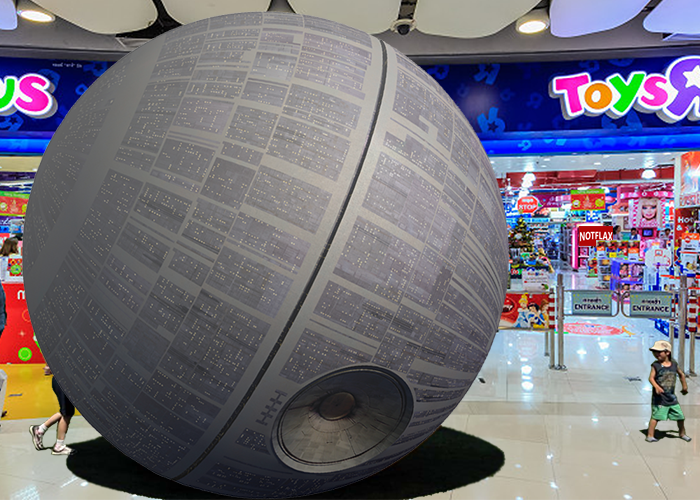 It’s going to be the hottest summer yet with the new Deathstar Beachball which hit retail stores earlier today. At nine feet in diameter, every kid will have a ton of fun with the new toy, which can actually float on water. Yet there is some controversy from concerned parents who say that the oversized ball isn’t safe. The last 3 versions of the Deathstar Beachball had a tendency to catch fire and explode. However, Disney says that this one is triple the size of previous models and is the best and safest one they’ve ever made. Its aluminum alloy shell weighs just over 600kg and comes in two colors: Space Gray and Rose Gold. It uses a deflector shield to bump kids out of the way so that they don’t get crushed. Of course it is fully operational, and comes with a 1 year warranty guarantee.